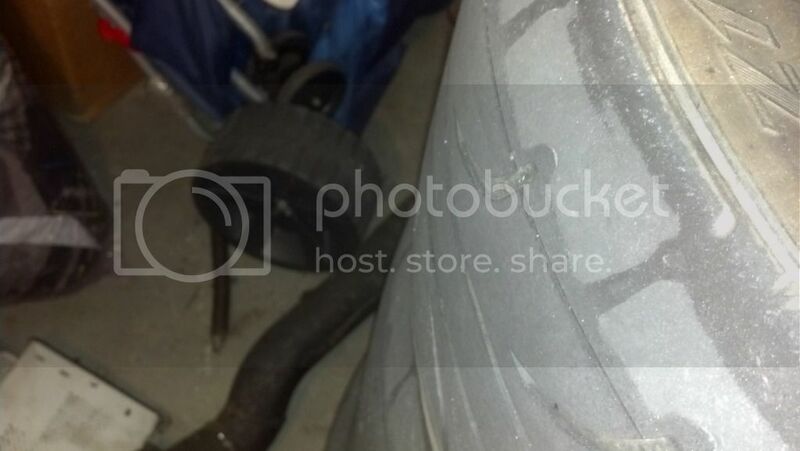 Would these tires be safe to run autox on? No cording, but I've never seen weird like this. Its like the top layer of rubber is peeling off on the edge. This is only on what used to be the inside edge. The rest of the tire has tread. I wouldn't hesitate to run those at an autox. You say 'used to be the inside' so I assume you flipped them on the rims? Looks like just some bad camber wear. M20_fever wrote: I wouldn't hesitate to run those at an autox. You say 'used to be the inside' so I assume you flipped them on the rims? Looks like just some bad camber wear. Yes, I had them flipped - it's definitely some serious camber/toe wear. The PO of this set of wheels/tires supposedly only used them for driving to/at/from autocross events. The two rear tires are pretty well worn all around, but the fronts actually have a good bit of life left in them, aside from the massive wear on the edge.